For many companies, including consumer brands, retailers, social networks and gaming sites, sending large volumes of email is business as usual. Some social networking sites, for example, send as many as a few billion emails a day. But no matter how much companies send, they all send mail to keep communities engaged and in-the-know. 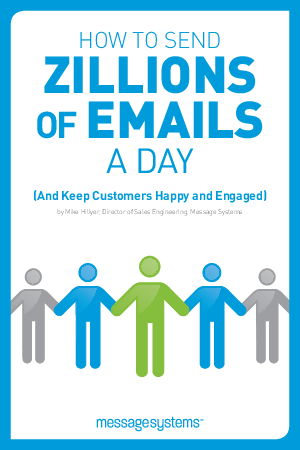 Our guide covers how to send high volumes of email without getting blocked by an ISP or eliciting customer complaints, so you can keep your customers happy and engaged.